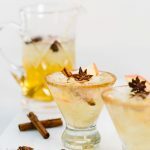 This Apple Cinnamon Margarita is the perfect fall cocktail made with cinnamon sticks, apple juice, blanco tequila, triple sec, and P&M Classic Margarita mixer. We always love the fall season in New England. While it pains us to think we’ll be shoveling our driveways in just a few months, the cool air, foliage, and smell of pumpkin-and-apple-everything makes it all worthwhile. Tequila is a favorite spirit of ours, and we strive to drink it (seasonally) all year long. 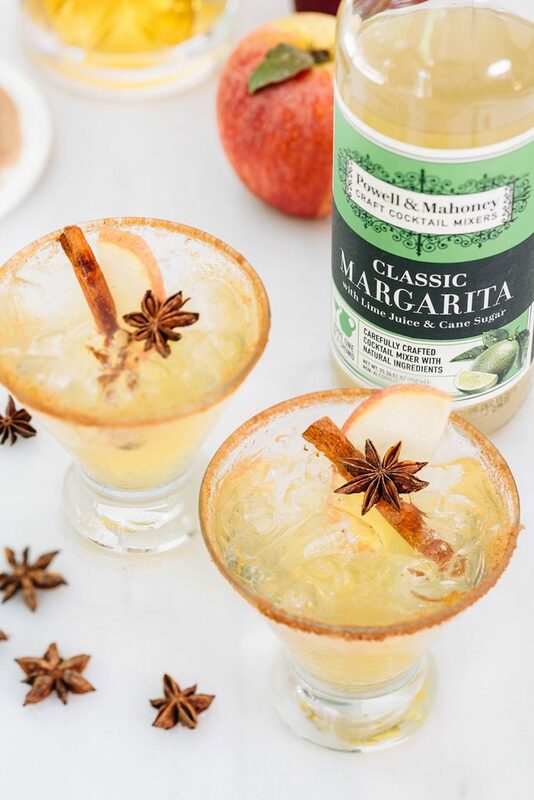 This margarita is a great way to enjoy the flavors of fall, while also enjoying our Avion tequila! plate. Rim the edges of the glasses with the sugar-cinnamon mixture. Set aside. 1. 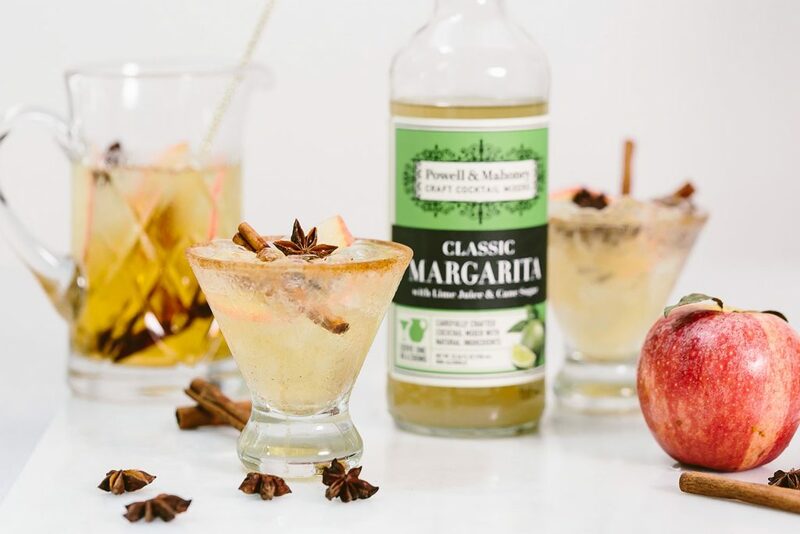 Mix together the tequila, triple sec, apple juice, and P&M Classic Margarita in a large glass. 2. Divide the ice between the pre-rimmed glasses, and pour the cocktail over the ice. 3. 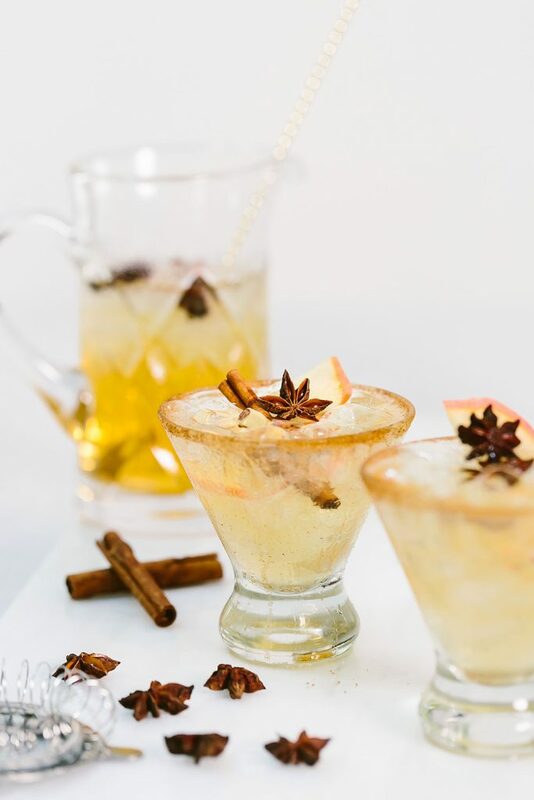 Garnish each cocktail with a slice of apple, star anise, and cinnamon stick. Serve immediately.